Let's face it, Scandinavia is expensive. That's why we chose to do a guided tour of Scandinavia for our first outing. 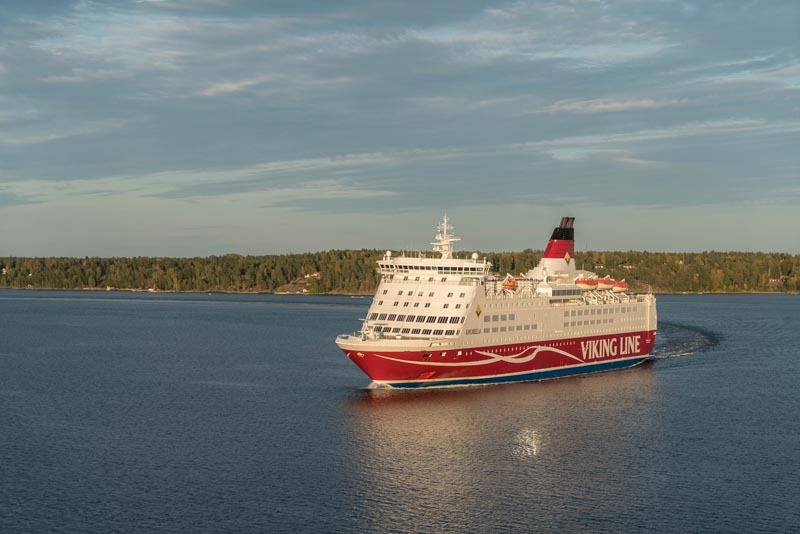 With a guided tour of Scandinavia we could sit it in comfort with a bit of luxury and relaxation. We avoided traveling through the region in the past because we wanted to do it right. 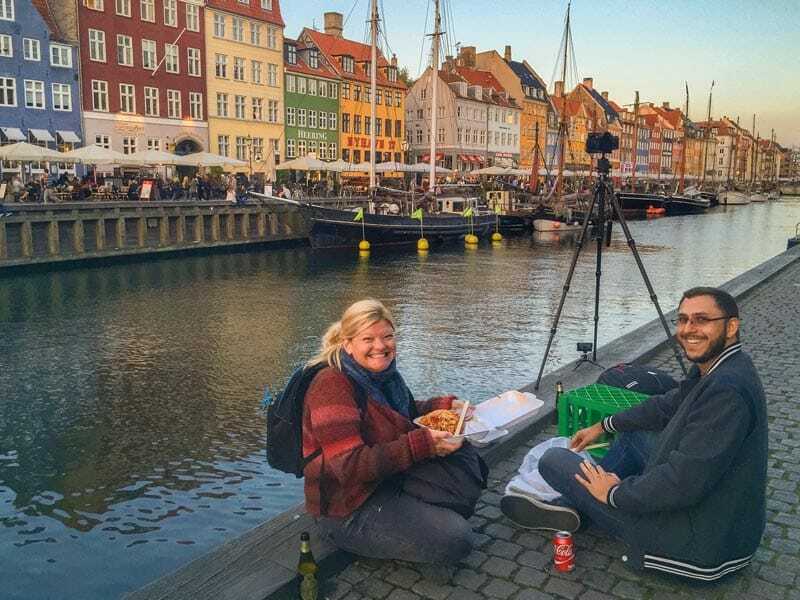 We know there are ways to travel in Scandinavia on a budget, but as someone who has “been there and done the backpacking thing” that wasn't an option. 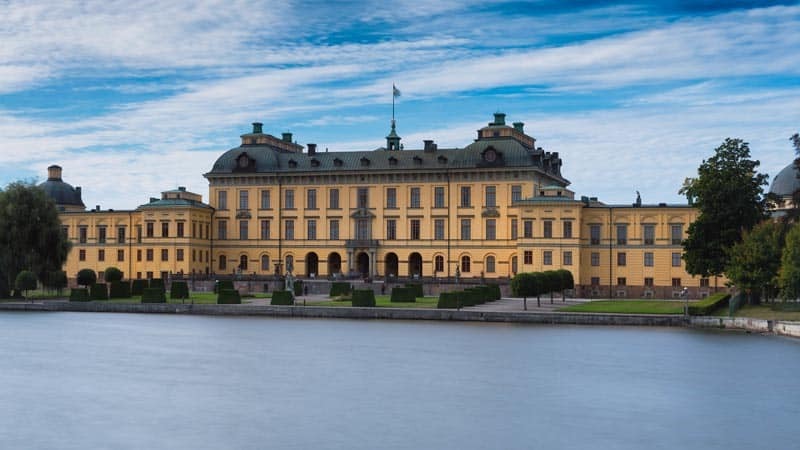 When Go Ahead Tours, a great tour company, talked to us about trying out one of their guided tours, we put Scandinavia: The Capitals & Fjords Tour at the top of our list. It is the perfect way to explore several countries at once in an affordable yet chic way. We stayed in boutique style hotels that were located either right in the city centre, or a just short walk or subway ride from downtown. 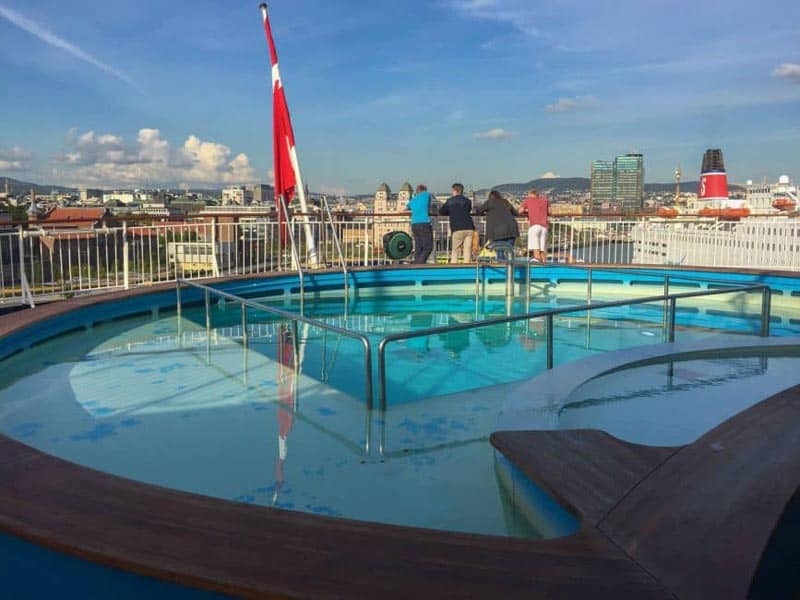 We took not one but two high-end cruises complete with swimming pools and spas, casinos, and champagne bars. 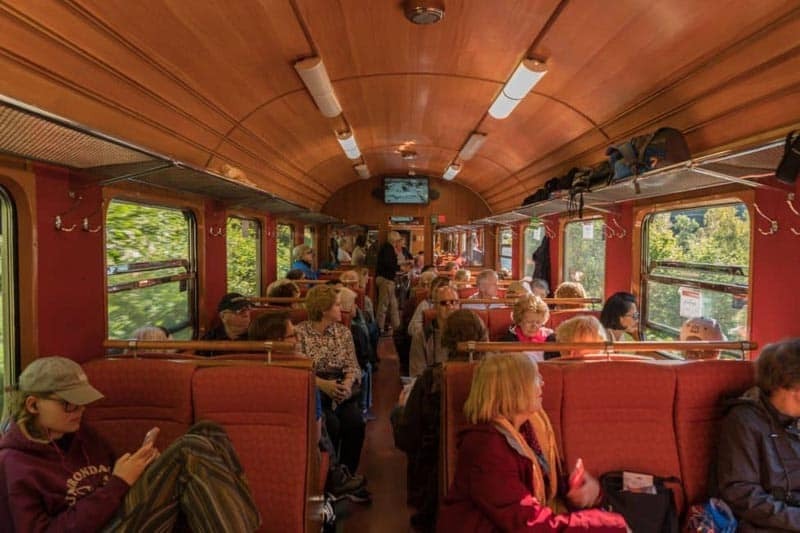 We travelled on private buses, historic and modern trains, and even flew between countries. We took every mode of transportation you could think of. 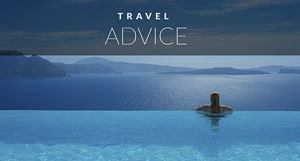 See our best travel tips after years of Full time travel. This was the way we wanted to explore Scandinavia – in style. Dave and I have travelled the world both on guided tours and independently. While most of the time our first choice is to take our time and go on our own, there are many times that we feel warrant a tour. Scandinavia is one of those times. -If you are new to travel, we think a guided tour is an excellent introduction to seeing the world. -If you have limited time and want to see several destinations, a tour may be for you. 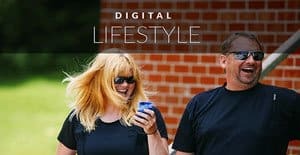 -If you are single and want to have people to travel with, joining a tour gives you camaraderie and helps you make new friends. -If you don't want to do a lot of work on your own, an organized tour is for you. Our guide Derek took care of every detail. He organized our transportation, he made sure all of us were on trains, buses and planes, he checked us into our hotels, and he took us on walking tours to show us around the city and help us get our bearings. We could have our hand held as much as we wanted, or we could go off and explore on our own. Dave and I did a lot of exploring on our own. Something we loved about this trip was that we didn't have to worry about the time-consuming things like finding and checking into a hotel. We didn't have to go to the station to buy our train tickets and we didn't have to plan how to get to our next destination. All of the logistics were taken care of, leaving us more time to explore the cities on our own. One of the reasons we chose to travel with Go Ahead was that they design each of their itineraries to incorporate a balance of planned activities and free time to explore. Something we’ve noticed on the few guided tours we’ve taken is that people seem to be afraid to explore on their own. It seems that people feel that they have to stay with the guide or take all the city tours. With Go Ahead, you’re encouraged to make your own adventure; you don’t have to do anything you don’t want to. This is your vacation after all, so if you want to sleep in and skip the city tour, go ahead. If you want to stay out late and skip the organized group dinner – so be it. We loved the people on our tour and made many new friends, but we actually didn't spend a lot of time with them. 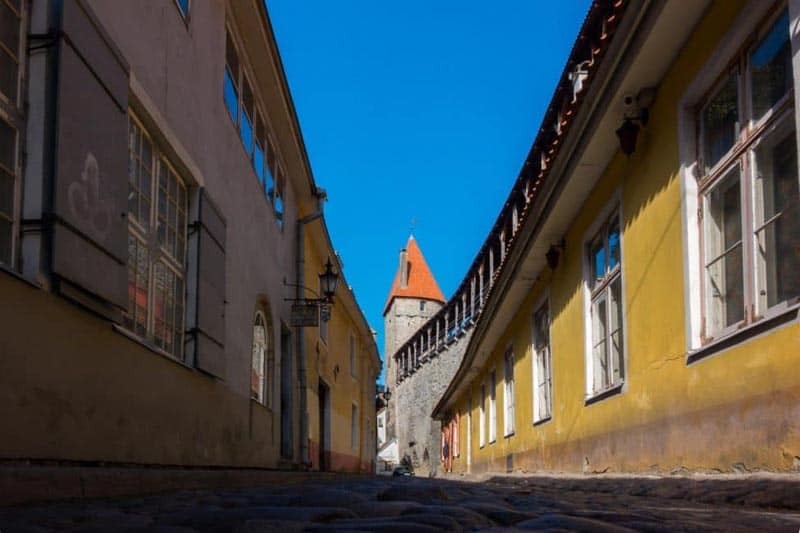 We're comfortable traveling on our own, so we often skipped the city walking tour and went to explore the streets ourselves. 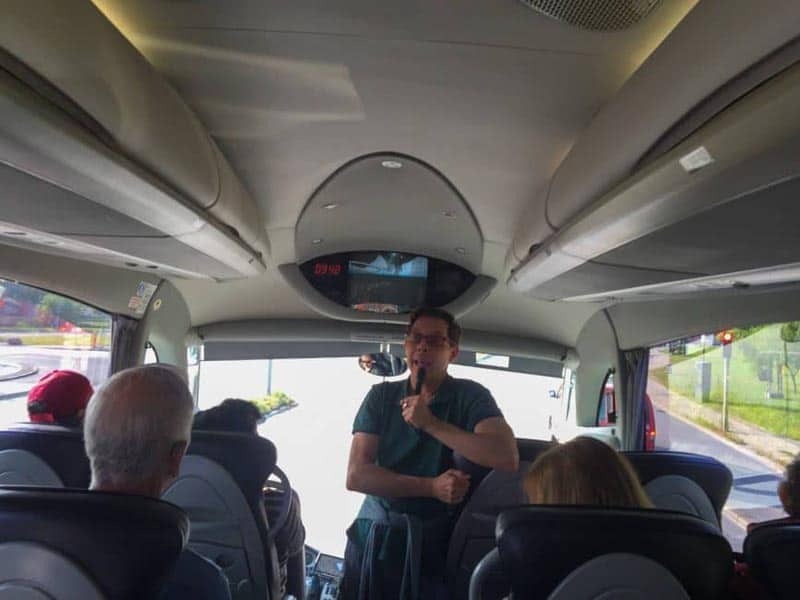 The beauty of being on a Go Ahead Tour was that there were many tours included in the cost of the package and they often took us outside the city to see sights that we wouldn't have otherwise seen. Whenever there was a tour outside the city, we joined in. 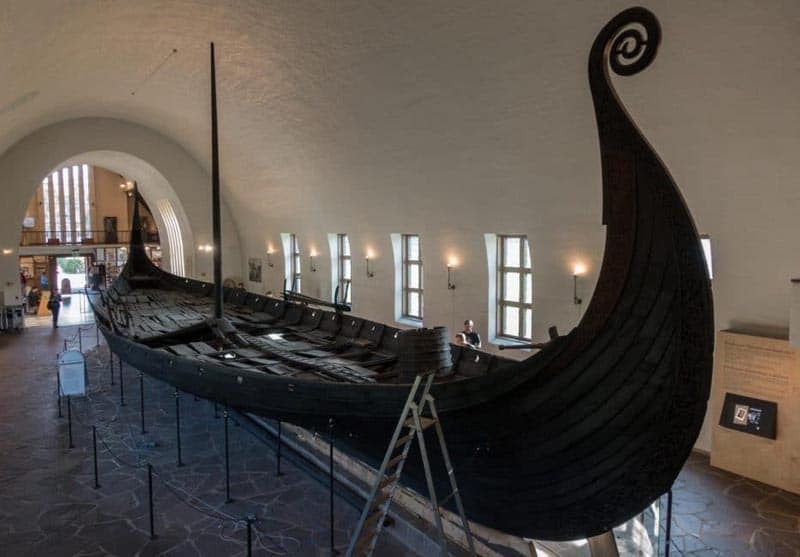 In Oslo, we took a tour out of downtown to see Vigeland Park and the historic ski jump centre and the incredible Viking Ship Museum where we saw ships dating back to the 9th century. 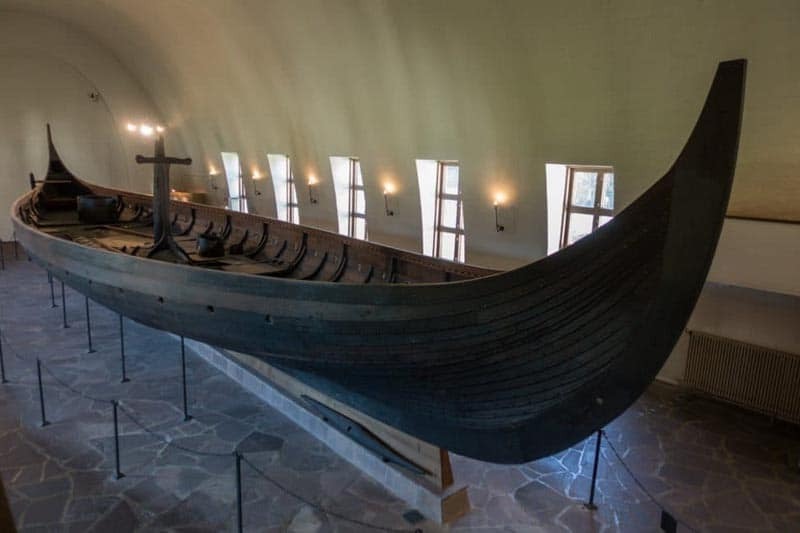 This was a highlight for us to see authentic Viking ships that were completely preserved. Blue clay kept their contents and hulls in tact for us to enjoy and marvel at the craftsmanship of the Viking warriors. One of our favourite tours took us out of Bergen to the Edvard Grieg Museum. Grieg was Norway's greatest composer and this was his home and property where he wrote and composed his music. The setting is beautiful and it was a fascinating walk through music history. One of my pet peeves when traveling is watching mass tour groups follow a person holding an umbrella or coloured cane of some kind so that the tour group can easily find them. They then all stand around the guide, who's yelling at the top of their lungs giving information. With a Go Ahead Tour, there's no umbrella or yelling. Instead, we wore little earpieces so we could hear every word. 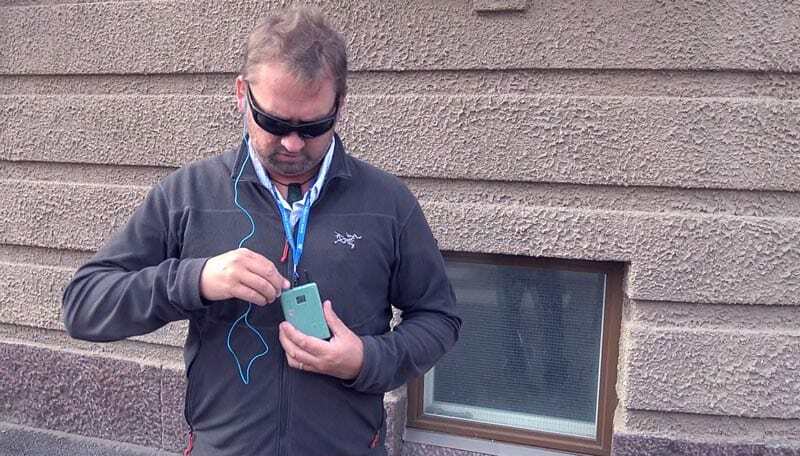 When our tour started, everyone was given a headset called a whisper. Whenever we got off the bus or train, we turned on our whispers and could hear everything the guide said. We didn't have to huddle in a group to listen, and we were free to walk around as we pleased. Dave and I often walked far ahead of our group so we could take photographs and videos away from the crowds. But, we could still listen to all the valuable information our guide shared with us. We loved it. We often felt we were getting the best of both worlds. We were on a tour, but we acted like we were on our own! 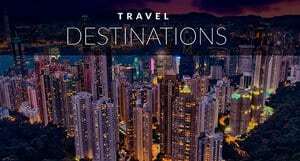 Go Ahead included these tours and all city walking and bus tours, but the company also gives travellers the chance to add on interesting excursions and day trips. 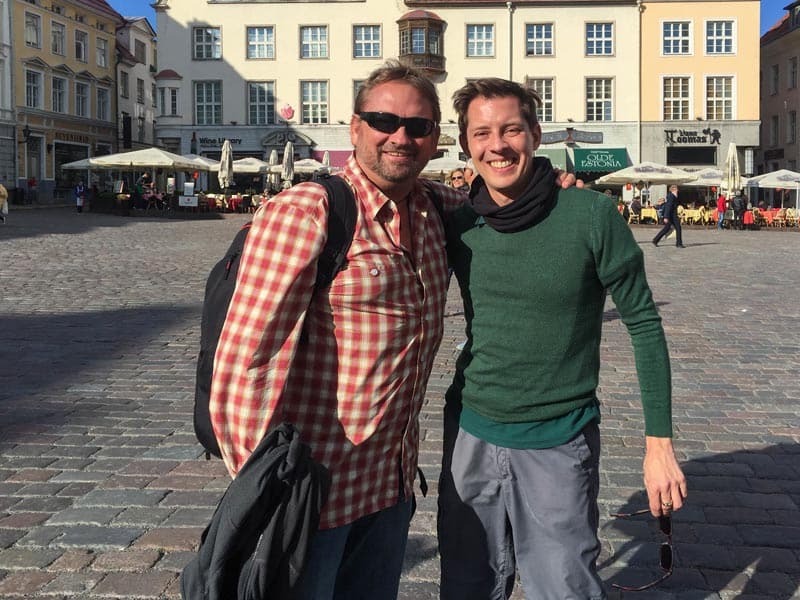 Some people joined Derek on tours to see Hamlet's castle in Denmark and the ancient city of Uppsala in Sweden. We opted to stay in the city on these days and we were very happy with our choice. Copenhagen was one of our favourite stops of the tour, so we were thrilled to have an entire two days to see it on our own and visit our friend Alex Berger. 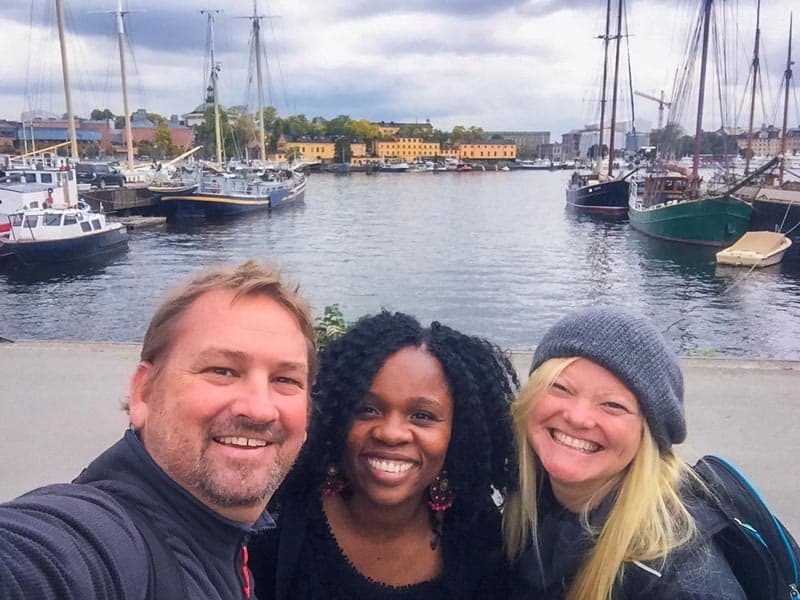 And while the rest of our group went to Uppsala in Sweden, we had the chance to really experience the city of Stockholm and have lunch with another friend Lola Akinmede. We were on tour, but we often felt like we were traveling like locals. We had the best of both worlds! 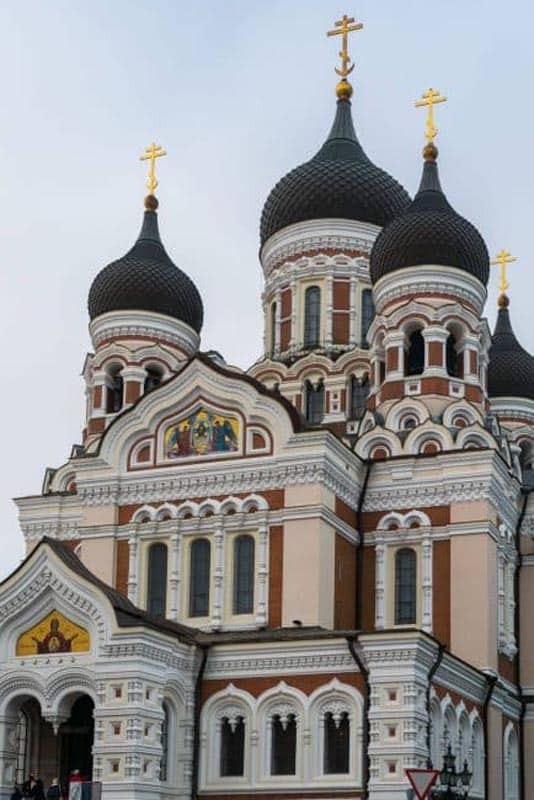 We did join our group on a day trip to Estonia, and I am so happy we did. 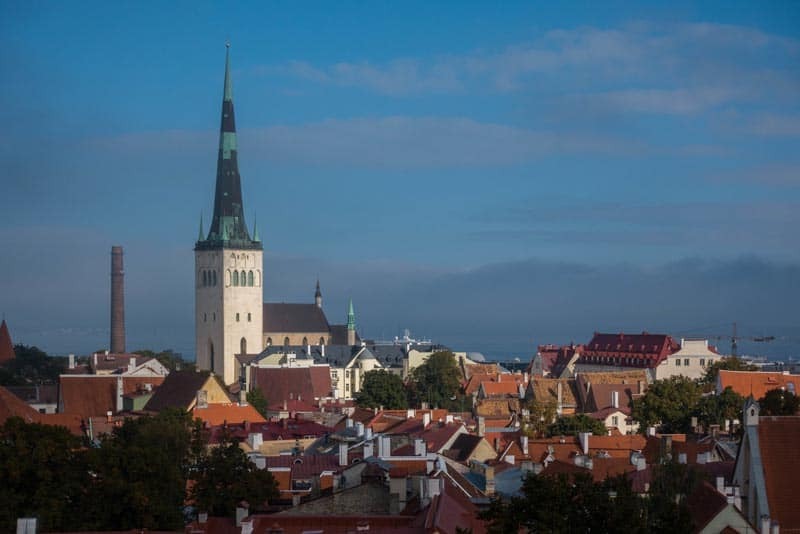 Estonia is a destination that needs to be travelled to on a proper vacation. One day wasn't enough, but it was enough to make us decide to come back. 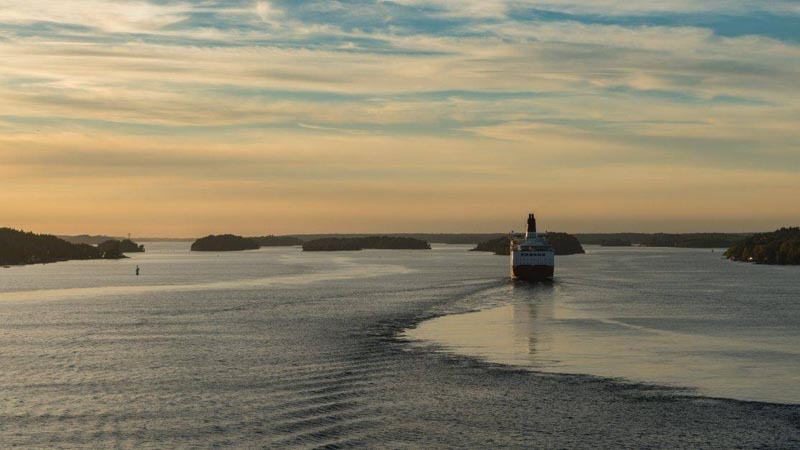 We all loaded onto an early morning ferry that took us across the Gulf of Finland to the city of Tallinn. 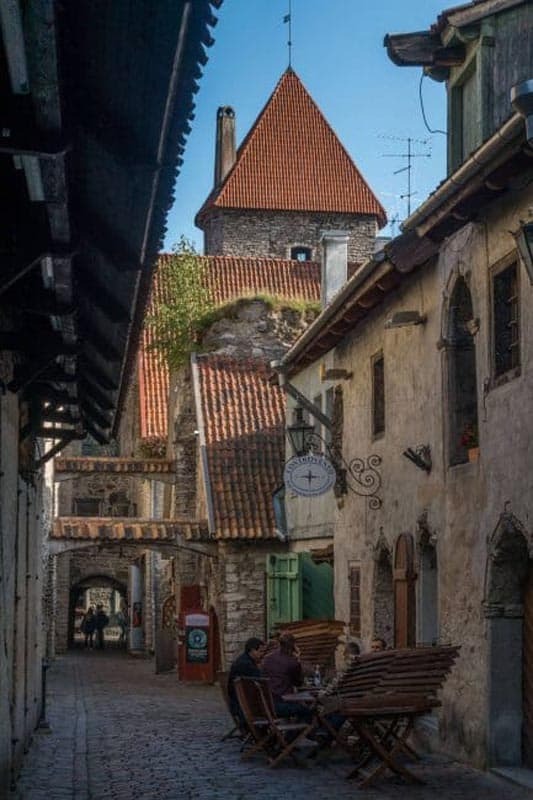 Tallinn's medieval walls and old city centre date back to the 14th century, and they're beautiful. We had a guided tour in the morning and then were set loose for an afternoon of sightseeing on our own. It was the perfect explorer tour. This tour of Scandinavia really covered a lot of ground. 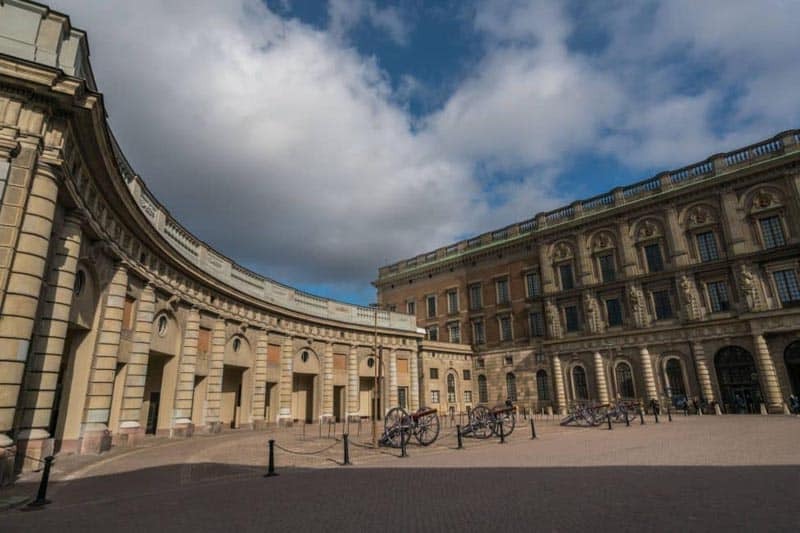 We visited all the capital cities including Oslo, Copenhagen, Stockholm, and Helsinki. 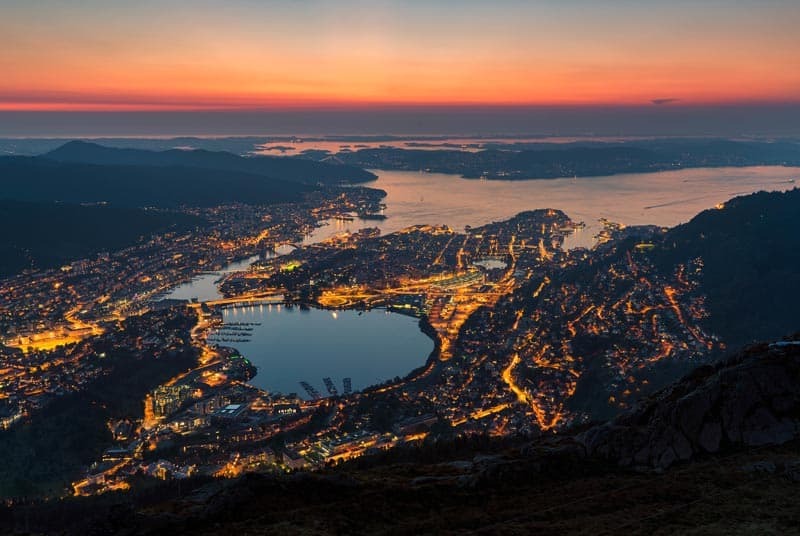 Our tour started in Norway's beautiful former capital city of Bergen dating back to the 11th century. It lost its capital city standing at the end of the 13th century, but it is a fitting start to the tour as it's absolutely beautiful. 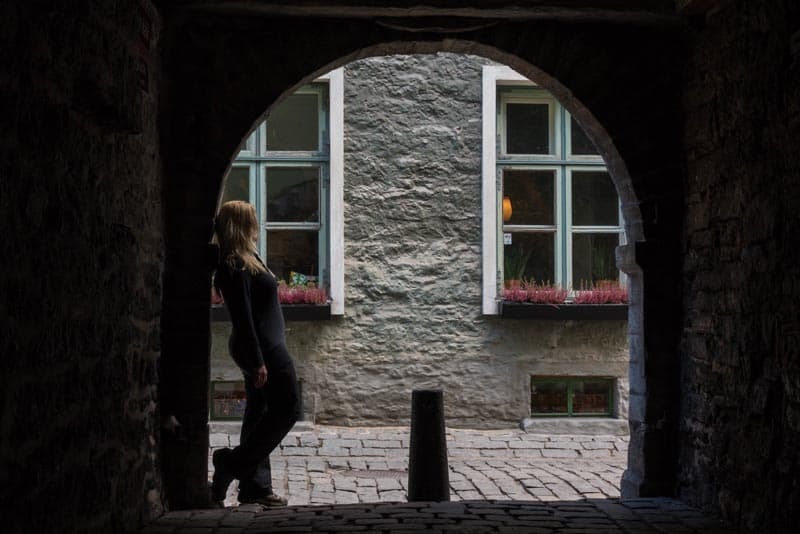 It was one of our favourite stops in all of Scandinavia. This tour gave us a lot of time to see the highlights of each city, but it also spent a lot of time on the water. I mentioned above that we took two overnight cruises. This felt like a vacation within a vacation. We expected our ships to be more like ferries, but to our amazement, each ship was a proper multilevel cruise liner. 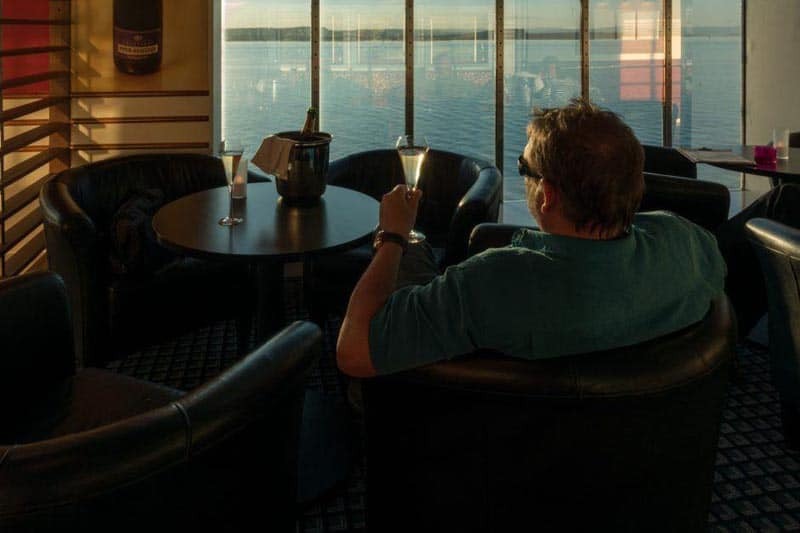 We could book spa treatments, sit at the piano bar, or walk on the upper decks to watch the sunset over the Fjords and enjoy fine dining or a buffet style meal. Our favourite moment was ordering a bottle of champagne to toast our incredible journey through Scandinavia. The cruises were nice, but the highlight of the entire trip was having the chance to sail through …the Fjord, Norway's most famous fjord. If you've seen pictures of Norway, chances are you've seen this destination. 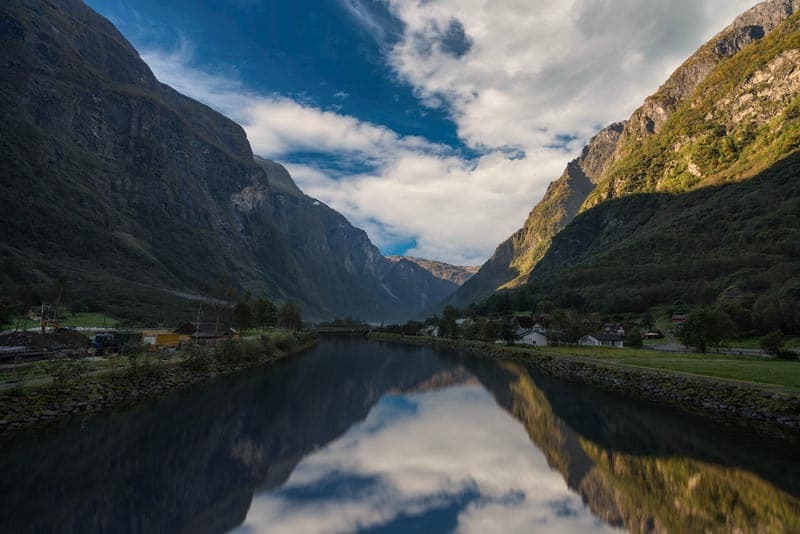 We travelled through the Fjord on one of Norway's most popular attractions – the Norway in a Nutshell tour. This is a tour that offers visitors the chance to see a lot in one day. The fjord tour is a beautiful 2 hour trip through a massive fjord. 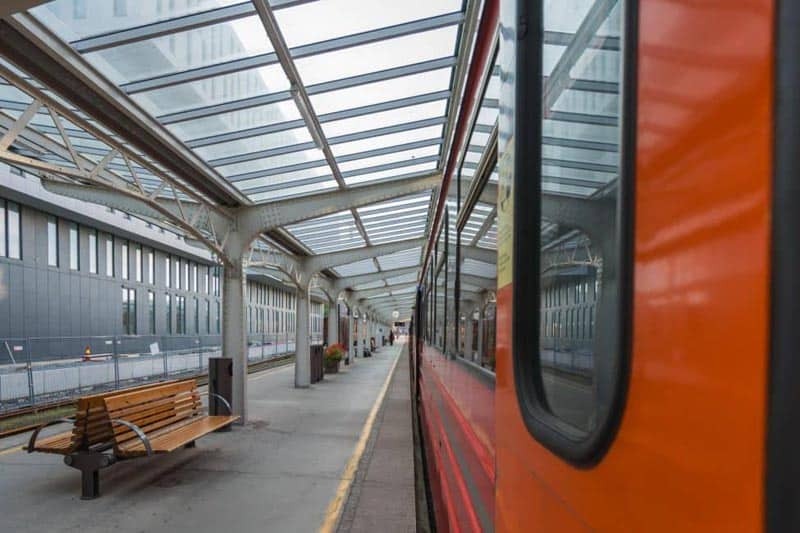 It ends with a ride up the world's highest railway, which has been described as one of the most beautiful train rides in the world. Derek was with us every step of the way making sure each person made it onto the buses and train transfers that got us there from Bergen. The entire tour ran smoothly and seamlessly. 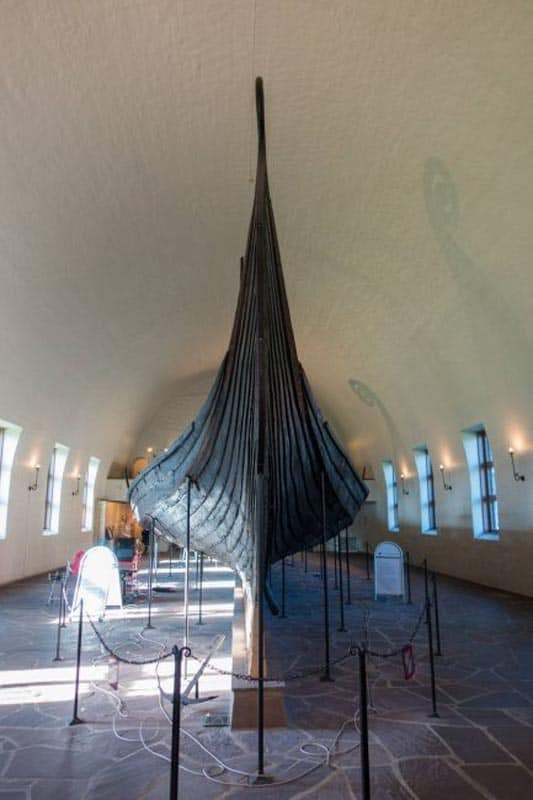 We thoroughly enjoyed our time on our Scandinavia: Capitals & the Fjords Tour. It had the perfect balance of guided tour mixed with independent travel. 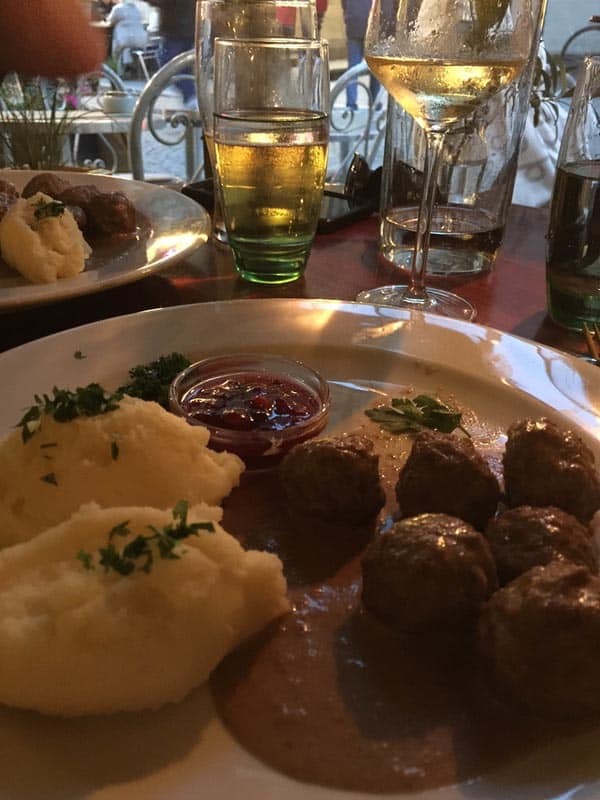 For us, it was a good way to get a taste of Scandinavia and now, we are excited to go back and see more! On our Go Ahead Tour of Scandinvia, we made a point to arrive two days early. 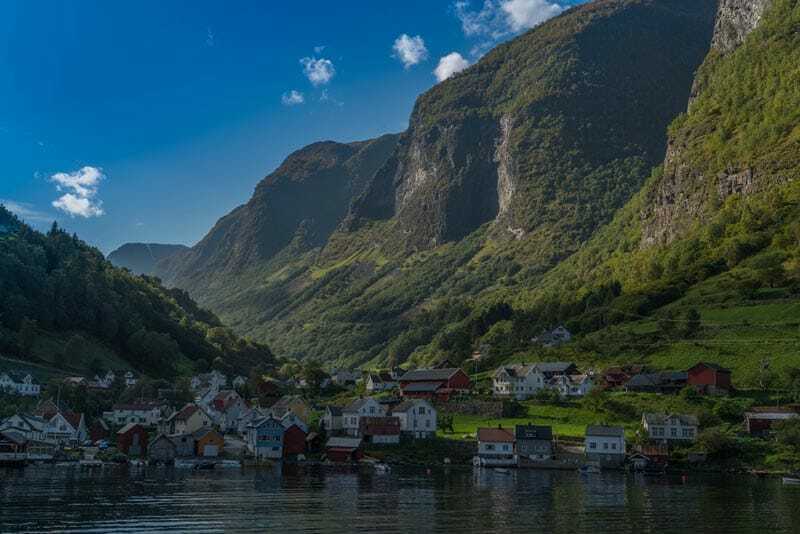 It gave us time to adjust to the time zones and we had four entire days to explore Bergen and the surrounding mountain scenic views. If you decide to do a Go Ahead Tour, we highly recommend arriving a day or two early. This is one of Go Ahead's fasted moving tours and if you are well rested, you'll feel much better each morning. 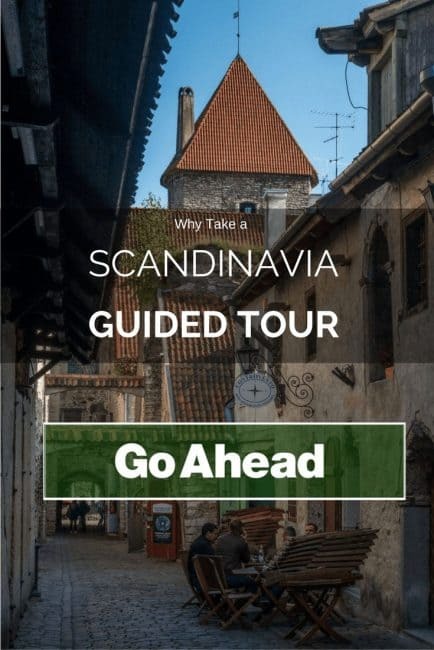 19 Responses to "Why a Guided Tour is Right for Scandinavia"
After reading this post it seems quite motivational and interesting to plan a perfect holiday in Scandinavia. Thanks a lot for a great post. 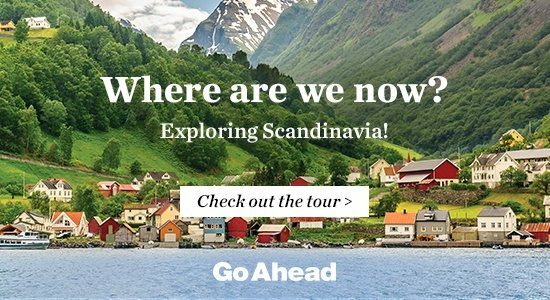 I came across your video on the Scandinavia trip while researching Go Ahead Tours. It looks fantastic. Can you tell me how many people were in your group? The web site says 18-35 but 35 people sounds way too many for me. Thanks! I think we had about 25 people. It didn’t feel like a lot as we had a lot of time on our own and a lot of time to be able to go off on our own. The whisper head sets helped us to do the tours with the group, but feel like we weren’t with them. We could saunter off on our own, but still hear the guide talk about the location. 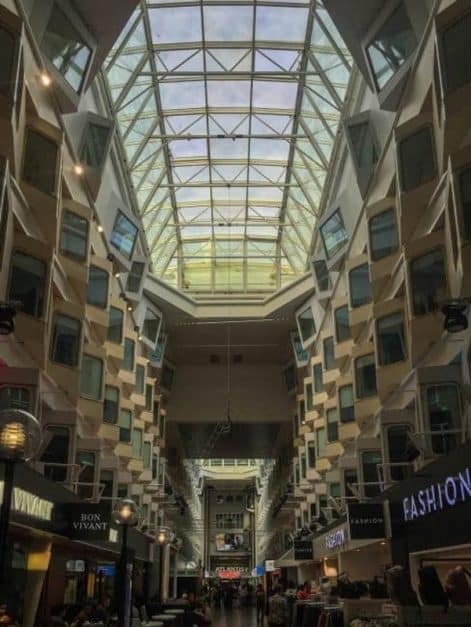 Also, when we were on the overnight ferries, trains and the fjords tour, we ended up going off on our own again and didn’t see our tour group members. It is really well run. 35 sounds like a lot (and it is) but they run it so well and have large busses and our guide was so fabulous, we didn’t really think much about the numbers. I hope that helps! Amazing pics and the way you explained the places is awesome. 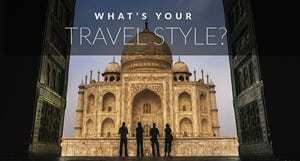 Keep travelling and share all your tour experience. 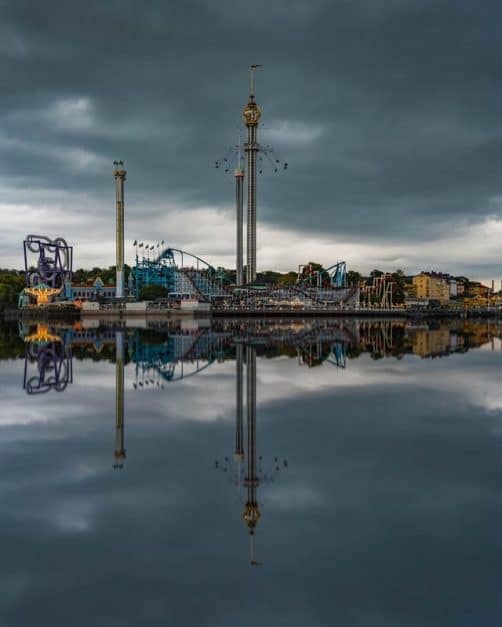 Scandinavia is a perfect destination. A guided tour seems like an excellent idea! Wow, now that looked like a lot of fun !!! I would like to see Finland too some day. It is great destinaation to travel it. Thank you so much for sharing it. I’m a group coordinator for Go Ahead Tours. I have a great group going on this tour July 5, 2018! We can’t wait! Have an amazing time! Go Ahead Tours are awesome. Amazing pictures! I am so sure it must have been a great trip. I really liked the idea of whisper headsets it certainly must have had added up a lot into the individual enjoyment of your trip.Keep travelling mate.Enjoy! The whispers were such a great idea. We found ourselves exploring the sights without the group, but listening to all the information our guide was sharing. It was the best of both worlds. 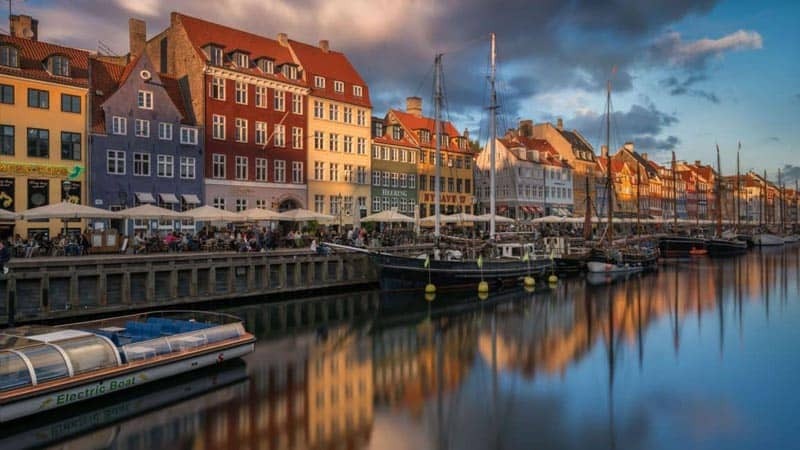 I live in Denmark so I probably wouldn’t take a tour here, but I would make sure to keep Go Ahead in mind for other places. Thank you for sharing such an awesome guided tour. The way of explanation and writing is very good. keep travelling and writing. That was an awesome travel. While watching your videos, I was amazed with some of the stunning places you’ve captured. A lot of travels and a lots of fun. Keep it up guys. Looking through your photos totally took me back to my trip through Scandanavia all those years ago. 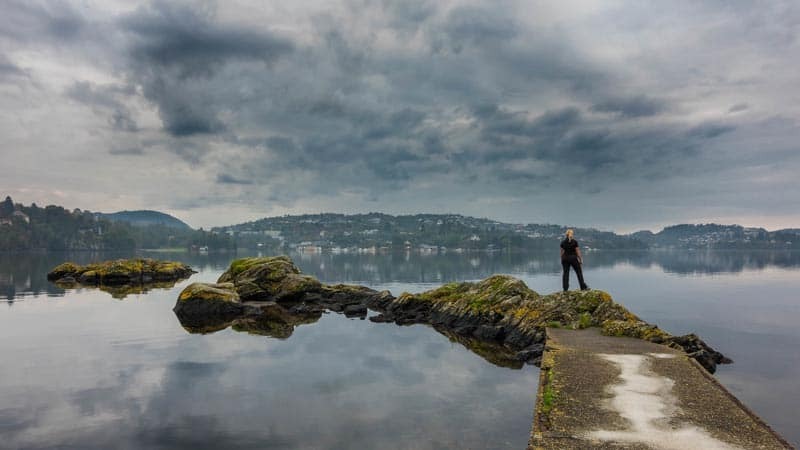 I really loved Norway and did the Norway in a nutshell tour from Bergen to the Fjords and back. Amazing country. That’s great you had time to catch up with friends as well.